This website was last updated on September 4, 2013. For a complete list of posts, see immediately below or go to www.cityeconomist.blogspot.com. Here is a complete catalog of all CityEconomist posts as of September 4, 2013 from the date the blog was created in 2007. Click on year or month to see contents. First-quarter update. Here are the most popular blogposts from www.cityeconomist.blogpost.com, based on page views. If clicking on a title does not produce a link that you can click on, try pasting the title into the Google search box. August 10. China's Labor Unions -- New Tendrils, Huffington Post. August 9. India's Labor "Time Bomb", Huffington Post. July 25. How to Fix the Banks. Huffington Post. July 22. Hamptons Institute Assesses Economy. At Guild Hall yesterday, Joe Nocera of the NY Times led a panel of three other people to discuss the economy - Ken Miller, Cyrus Amir-Mokri and Joseph Perella. Most interesting idea of the evening for dealing with banks too big to fail - have a bank regulator at every bank board meeting. 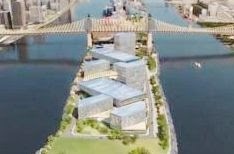 Dec. 30 - Cornell-Technion plans for Roosevelt Island campus. Oct. 4 - Interview on the economy with Harold Channer, Manhattan Neighborhood Network (MNN). Sept. 14 - Creating U.S. Jobs - Six Avenues. Sept. 14 - The Jobs Impact of a High Top Tax Rate. Sept. 7 - Ed Koch Urges Easier Rules for Families Devastated by Real Estate Deflation..
Aug 31 - Krugman was one of few who predicted the U.S. liquidity trap. Now Europe is liquidity-obsessed. Aug 31 - Irene a Top Catastrophe? Deaths Not in Top 100. Costs Not in Top 10 Hurricanes. Aug 29 - Cost of Hurricane Irene in Lives and Property Losses. Aug. 28 - Was Bloomberg right to evacuate? Yes. Aug 26 - NYC Leads in Tech and Green Incubators. Aug. 8 - The S&P Downgrade Ruckus. Aug. 7 - Counterfeit Goods in NYC and LA. Aug 3 - Debate on Mayor's Plan to Boost NYC Tech. July 20 - For Green Jobs, Cut Subsidies for Fossil Fuels. July 15 - Proposals for Meeting the August 2 Deadline for Raising the Debt Ceiling. July 7 - Municipal Bond Rigging - SEC Actions. The December 19 announcement of the winning university bid to create a high-tech campus in New York was stunning. It was preceded by mystery and secrecy. When he was elected, Mayor Bloomberg was expected by many to be a leader in bringing technology to New York City. In 2011, in his third term, he has fulfilled this expectation. of Jean-Baptiste Say, who was the de facto chief economist of the French Revolution and originated Say's Law as an argument to support the case that the financial aristocracy was not necessary for the French economy to function. (In other words, the case that their decapitation or flight would not cripple the markets.) Also Adam Smith and the productivity of the pin factory, and the proposals of John Maynard Keynes for curing Depressions. The backlash from Ludwig von Mises, Friedrich von Hayek, and Milton Friedman. Today's Longest Recession or Lesser Depression, as seen by Karl Marx, Paul Krugman, Henry George. More (posted on YouTube): www.youtube.com/watch?v=so2qyaW2-1A. Sept. 16. UBS Hit Shows Risks of Casino Investment Banks. (HuffPost.) It seems that Mr. Adoboli, the young UBS trader, made a $2 billion mistake. Using his super-duper Delta One trading system, he bought Swiss francs as a hedge when he meant to sell them. Before he realized his mistake, if we can believe this, the market ran away with his bet. Swiss francs fell in value and UBS took the hit for a couple billion. This exceeds Nick Leeson's $1.3 billion loss, which brought down Barings in 1995. It ranks third after Jerome Kerviel's $6 billion loss at Société Générale in 2008 and... More. Sept. 14. Creating U.S. Jobs - Six Avenues. (Blogspot.) Six ways to create jobs in the United States, starting with the least promising. More. Sept. 14. The Jobs Impact of a High Top Tax Rate. (Blogspot.) Jobs grew faster during years with the highest top tax rates. The middle class spends more of what it keeps. And the average working American has a greater sense of being in a fair society. More. Sept. 7. Former Mayor Ed Koch Makes a Couple of Good Points. (Blogspot.) Mayor Koch argues for a fairer treatment of individuals still suffering from real estate deflation. More. August 31. Krugman and the Liquidity Trap. (Blogspot.) On December 18, 2008, I reported on a speech by Laurence Meyer. [H]e said that after the December 16, 2008 Federal Open Market Committee statement, the FOMC could go on vacation "for two years". [It's now nearly three years and we are still at the zero bound. No mention of the liquidity trap in the 12th Edition of Baumol and Blinder.] Paul Krugman is one of the few people who predicted the danger of the Japanese-style liquidity trap infecting the United States. Now the obsession for liquidity seems to have captured Europe. More. August 31. Does Hurricane Irene Rank among Top Ten All-Time U.S. Catastrophes? (Blogspot). No. Fatalities are at 42, which is a terrible loss of life, but the 100th-ranked U.S. catastrophe (epidemics excluded) is approximately 100 fatalities. Irene does not make the top 100. On the basis of cost, the wide-ranging Irene hurricane is estimated to cost $7 billion to $10 billion [according to the NY Times]. But this does not place Irene in the top ten U.S. hurricanes, inflation-adjusted, as reported officially by the National Hurricane Center. More. August 29. Measuring Irene's Damage. (HuffPost). A day after Hurricane Irene was downgraded to a tropical storm, 38 fatalities have been reported. Each of these deaths represents a great loss for their surviving families. Fatalities are also a guide to the economic impact of the disaster.More. August 28, 2011. Mayor Bloomberg’s Evacuation - Panicky, Politic or Prudent? (Blogspot) More. August 26. NYC Leads with Incubators for Green and Tech Startups. (HuffPost). The nation's economy is stuck in a liquidity freeze. The Tea Party's debt exorcisers are pushing their case too hard at the wrong time. President Obama continues to have a big challenge to get the country moving again. Yet there may be hope at the state and local level, where officials - Mayor Bloomberg, City Council President Quinn, Rep. Maloney - are seeking ways to get entrepreneurs together with the right knowledge basis and support. New York City is doing this for tech and green startups. More. August 8. The S&P Ruckus and the Real Policy Challenge. (Blogspot). More. August 7. Counterfeit Goods - New York City and Los Angeles. (Blogspot). More. August 3. Mayor Bloomberg's Tech Center Competition. Online debate has been started by the New York Times on Mayor Bloomberg's competition to bring major university resources to New York City to encourage tech innovation. The general response is favorable. Comment: Stanford, Cornell and NYU appear to be making substantial efforts to respond to the Mayor's challenge. Stanford, at the heart of Silicon Valley, will be hard to beat, since it meets the import standard and also has the track record dating back to the Hewlett Packard startup. Many of the recommendations of the 1999 report by the NYC Comptroller on the software/IT industry are still not implemented and remain valid. Click here for a summary of the report and a link to download the full report at What's in it for Stanford? New York has been gaining ground relative to Boston and the Bay Area. California's economy is suffering from its deep involvement in the creation and spread of the mortgage debt crisis. New York is a hedge, a growth opportunity and a service to the economic future of the United States. July 20. For Green Jobs, Cut Fossil-Fuel Subsidies. (Blogspot.) More. July 18. Debt Ceiling Countdown. (Blogspot). Michael D. Shear, online (in the Saturday, July 16 NY Times), provides a “cheat sheet” on the various proposals for meeting the August 2 deadline for raising the debt ceiling. Comment: Not mentioned is the fact that Both Moody’s and S&P have threatened to lower their triple-A ratings on long-term U.S. debt if the deadline is not met, with S&P going further and expressing hawkish views about the terms of any compromise. More. July 7. How Anti-Regulatory Are GOP Rank-and-File? An outraged Republican friend sent me a link from Jesse's Café Américain, commenting on SEC and other actions announced on July 7. The related SEC actions, from their announcements, are summarized below. My GOP friend was distressed at the inadequacy of the penalties. Polls of areas that include many Wall Street workers show them favorably disposed toward more SEC oversight. This is interesting to me because many Republican leaders are vociferously anti-regulation. They clearly don't speak for everyone in the ranks. More. Site reopened July 11, 2011. The CityEconomist website was opened in 2006. It provides resources and comments on U.S. and regional financial and economic developments until March 2009, starting again in July 2011. John Tepper Marlin, Principal of CityEconomist, was serving as Senior Economist at the Joint Economic Committee in Washington, DC from April 2009 to May 2011.